Jacob Boehme was diagnosed with HIV in 1998 and is the driving force behind this incredible and powerful show. 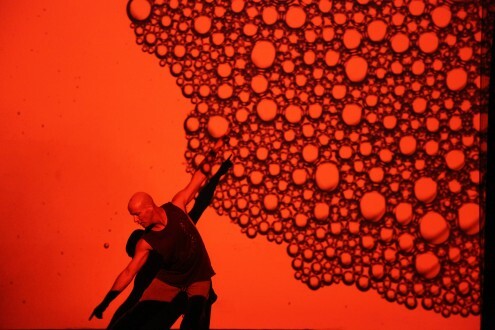 Boehme is the choreographer, dancer and writer from the Narangga and Kaurna nations of South Australia. Boehme, went in search of answers, by reaching out and connecting to his ancestors. Through a powerful blend of theatre, image, text and choreography, Boehme pays homage to their ceremonies whilst dissecting the politics of gay, Blak (a term used for and by Indigenous people of Australia) and poz identities. The #Two-Spirit Journal caught up with Jacob Boehme on the evening before this opening performance in Vancouver, BC Canada. This performance is supported by the Australian Government through the Australia Council, the Victorian Government through Creative Victoria, City of Melbourne, Performing Lines & Tandem Works and DanceHouse, SFU Woodward’s Cultural Programs, and the Talking Stick Festival present ILBIJERRI Theatre Company’s Blood on the Dance Floor at the SFU Goldcorp Centre for the Arts from Wednesday, February 6 to Saturday, February 9. Will update this post as more info on other engagement in Canada is received.